Snapchat disseminated a tweet today announcing that it has released its new Android app. The app was rebuilt from the ground up so that it could be faster for Android users. In rebuilding its Android app, Snapchat had to take into consideration the many different cameras and chipsets used on various Android handsets. The decision made to revamp Snapchat's Android app came in 2017 when it became clear that the messaging app's iOS version was superior. According to Android Authority, in early 2018, Snapchat staff realized that the Android app was always trying to run code in the background, leading it to act laggy. Thus, the decision was made to rebuild the Android app from scratch. The challenge facing Snap's director of engineering, Gustavo Moura, was how to make the messaging app run the same on flagship Android devices and lower-end models alike. 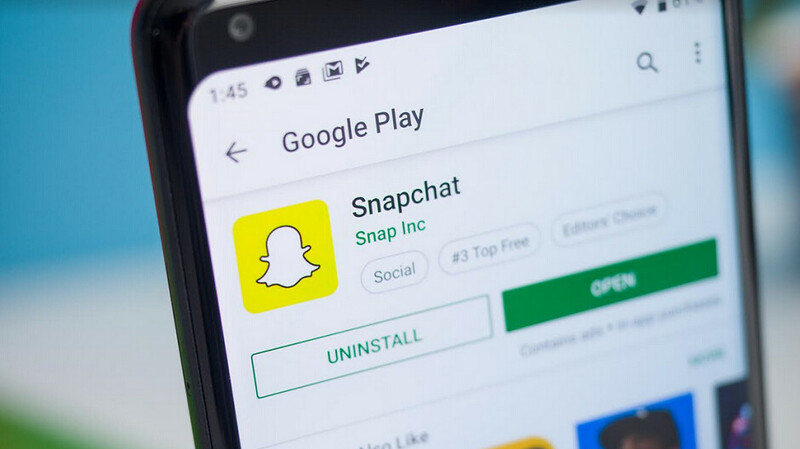 Eventually, the Snapchat development team was able to get it done and the app's Android subscribers should see Snapchat run faster once the new version is installed. In addition, better performance should be seen on lower-end phones. To make sure that updates are running bug-free now and in the future, Snapchat is testing them on a larger number of Android-powered devices. Those installing the updated Snapchat app on their Android device won't notice any changes to the UI. Instead, Snapchat concentrated on improving things under the hood so that the Android app could run as fast as its iOS app. And while the new version of Snapchat for Android has begun rolling out to some now, it won't be fully available until the end of this year. Originally known for its self-destructing messages that would automatically delete after ten seconds, Snapchat developed the Stories feature in 2013. Users can post a series of images that remain on Snapchat for 24 hours to help them convey a story. In addition, the popular Snapchat Lenses feature uses AR to help add cartoonish features to a member's selfie. That's because Snapchat didn't care about Android. They purposely made their app a POS for Android users. Well Snapchat FU. I hope they go belly up. If anything, I'm just surprised they are still around. Let this company die for thinking they didn't need Android to survive. Nice, just need improvements on the camera front and we are good!